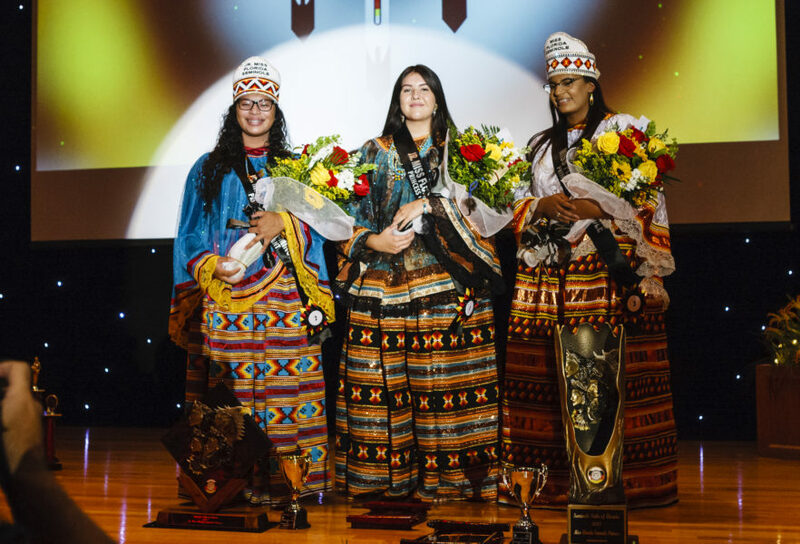 With their heads held high and confidence glowing, three young women crossed the stage July 22 attempting to earn the crowns of Miss and Junior Miss Florida Seminole Princess. After a night full of talent, congeniality and intellectuality, the 2017-18 titles went to , respectively, during the 60th annual Miss Florida Seminole Princess Pageant at the Hollywood headquarters auditorium. 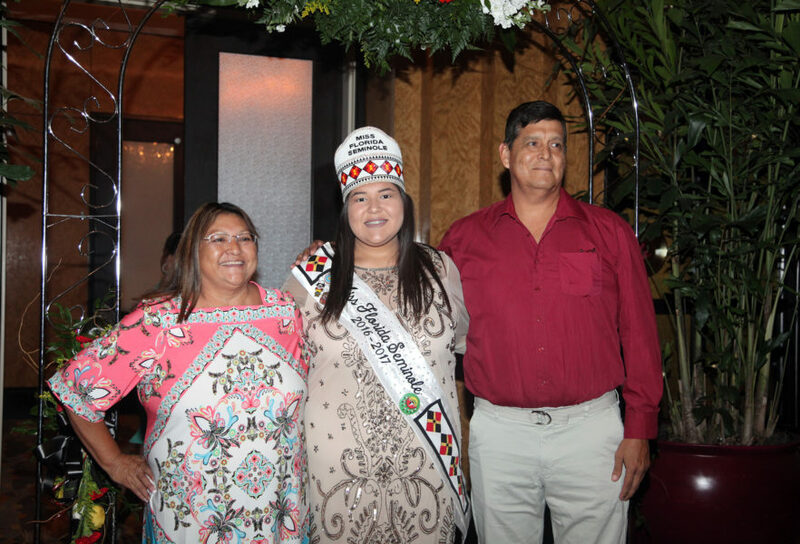 Kailani described her win as an emotional experience that made her feel ecstatic for the future. 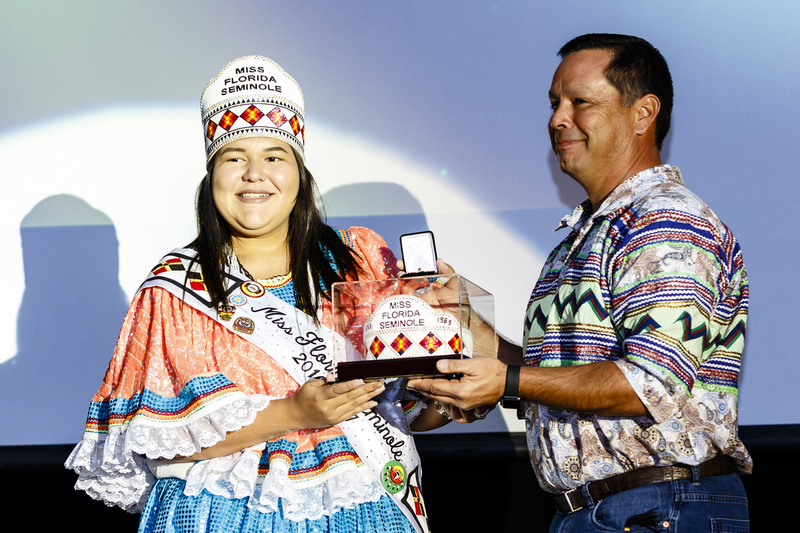 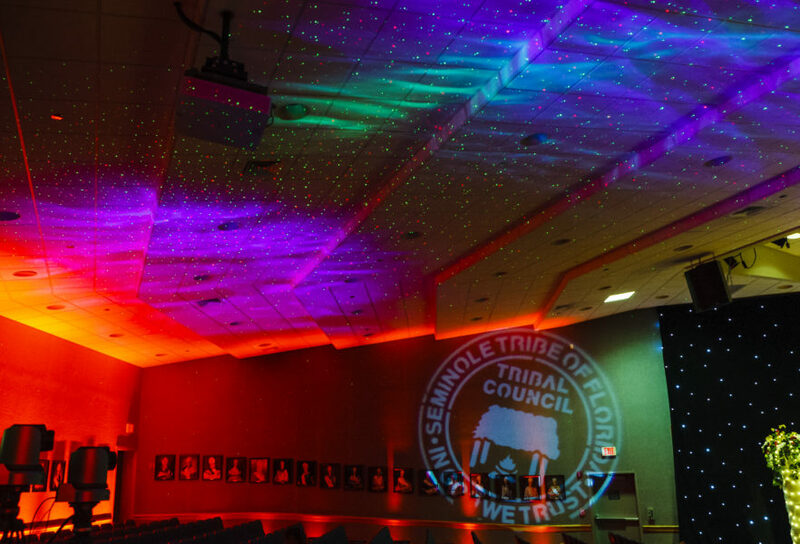 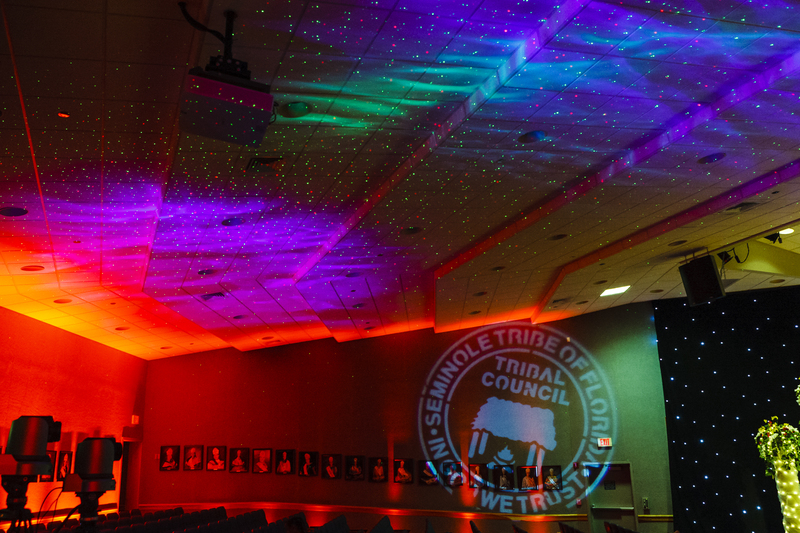 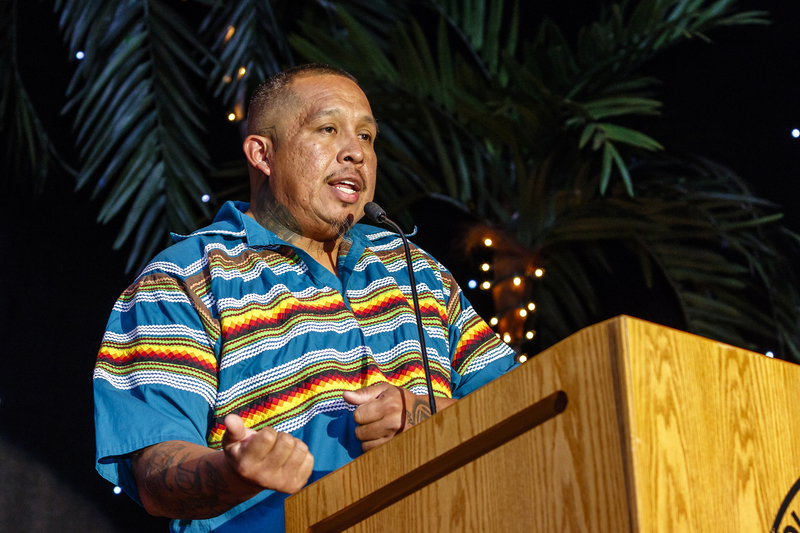 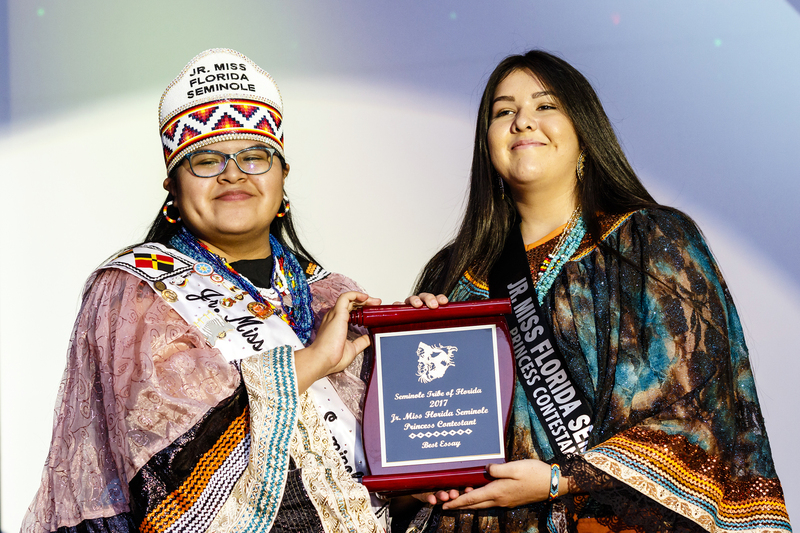 Emcee Wovoka Tommie, who is the older brother of the 2016-17 Jr. Miss Florida Seminole Princess Thomlynn Billie, explained that earning the title is more than a label. 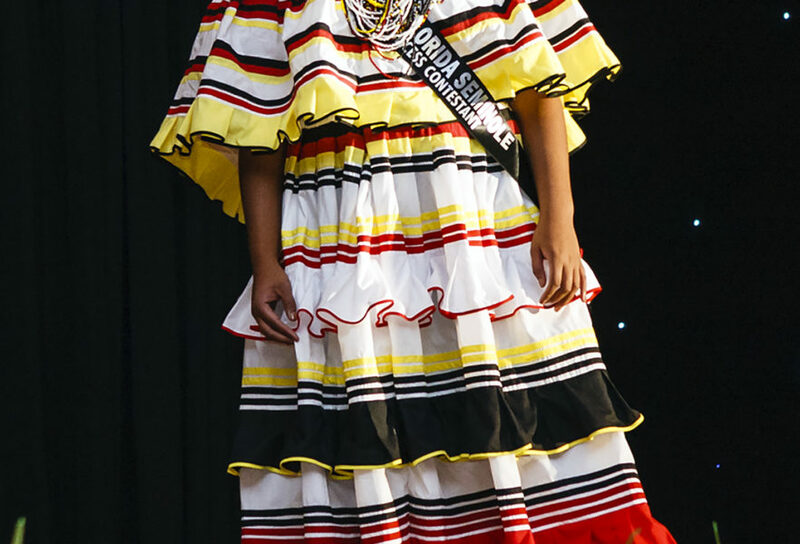 Brighton resident Camryn Thomas, 17, also competed for Junior Miss Florida Seminole. 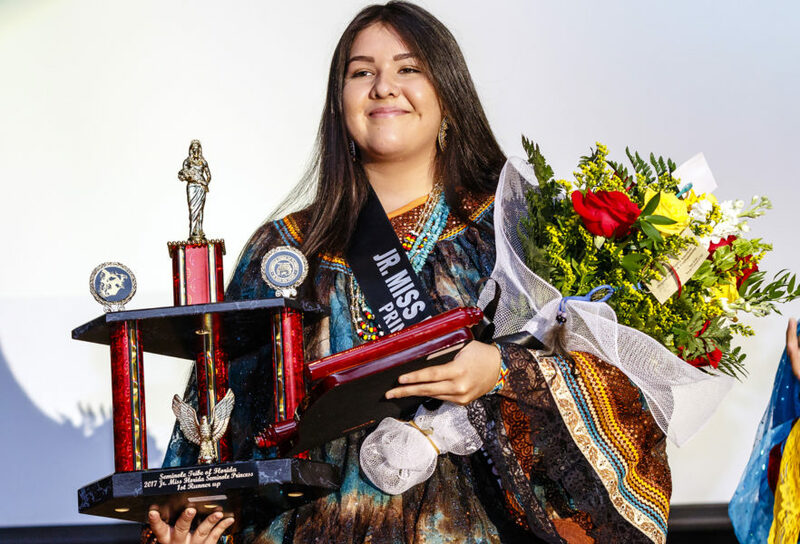 Although she didn’t win the title, she won an award for Best Essay, as well as a trophy for first runner-up. She said it was a fun experience and plans to continue playing softball at Lake Placid High School and will apply to the University of Florida to become an agriculture teacher. 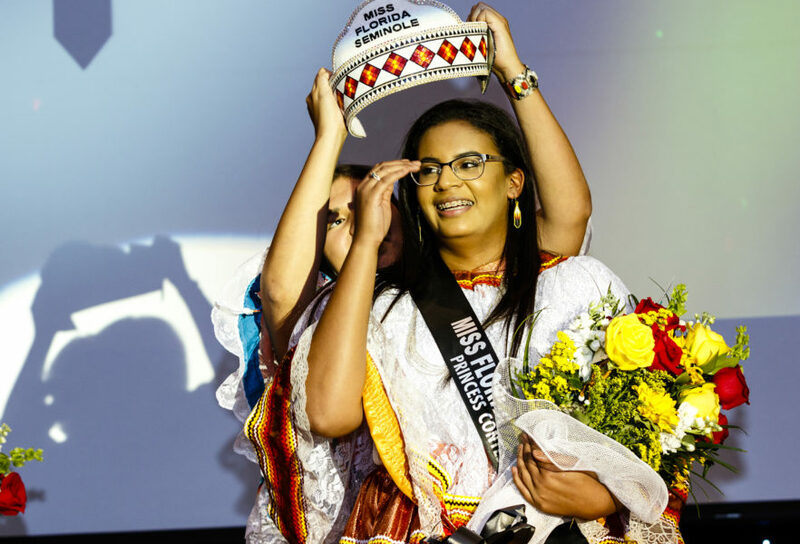 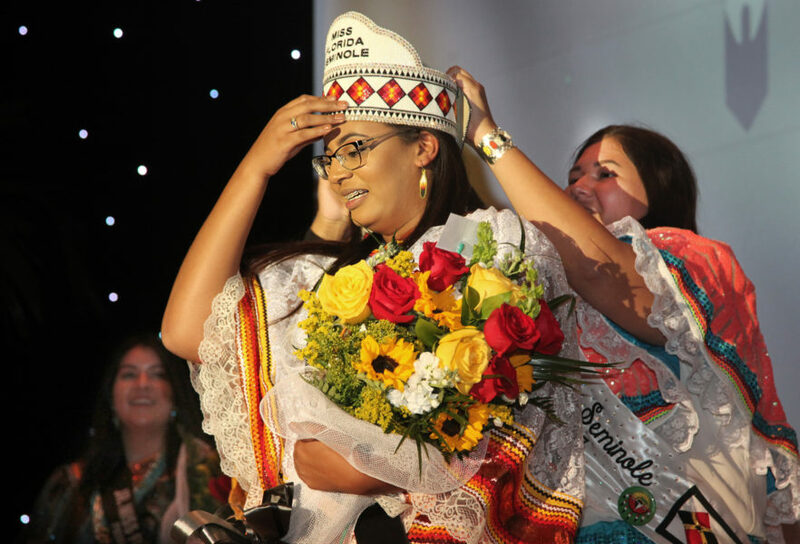 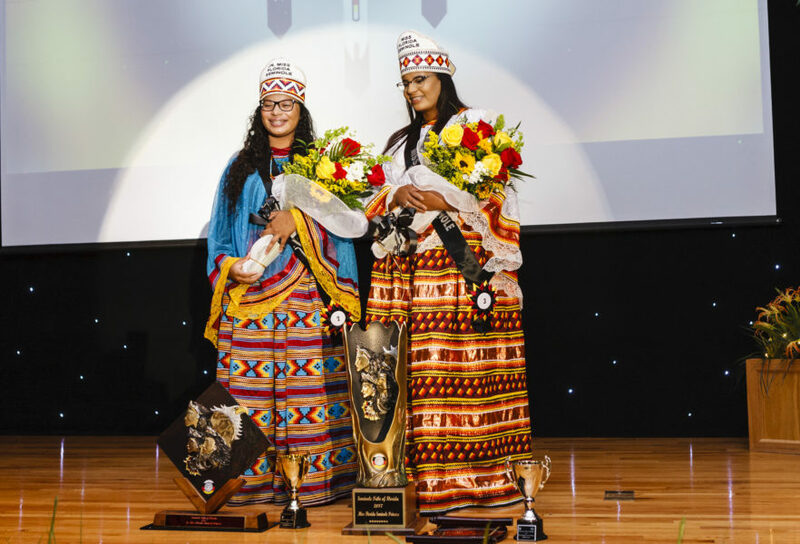 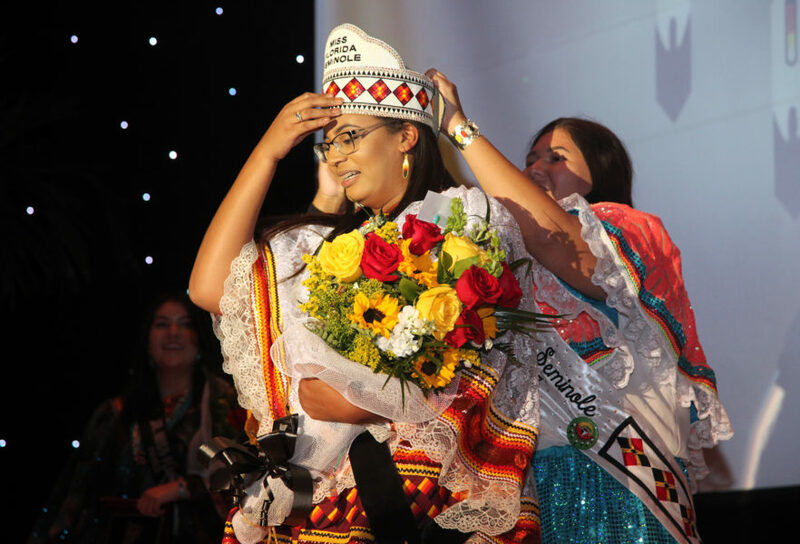 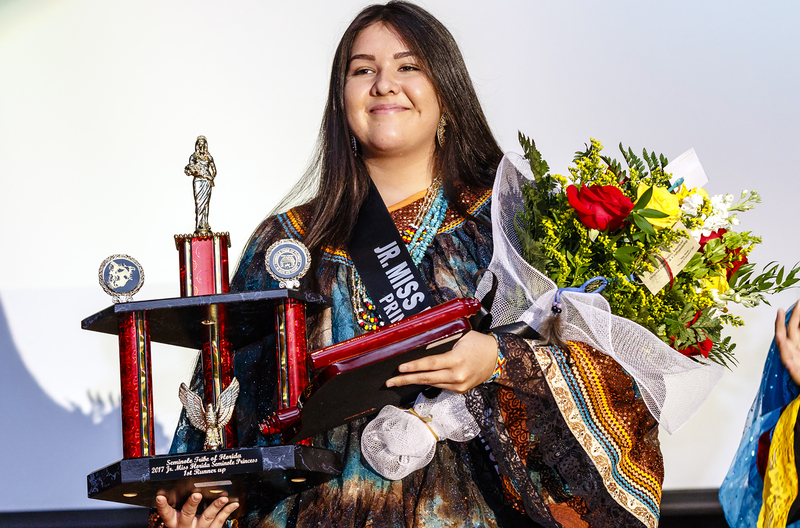 Randee, 18, and Kailani, 17, won their titles after acing three components of the pageant: Clothing, talent and Seminole-related impromptu questions. 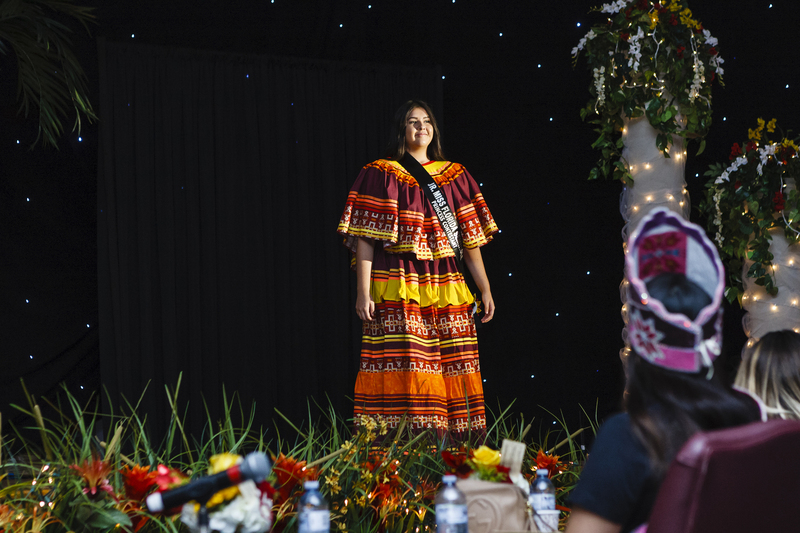 For the clothing contest, both young women sported traditional dresses. 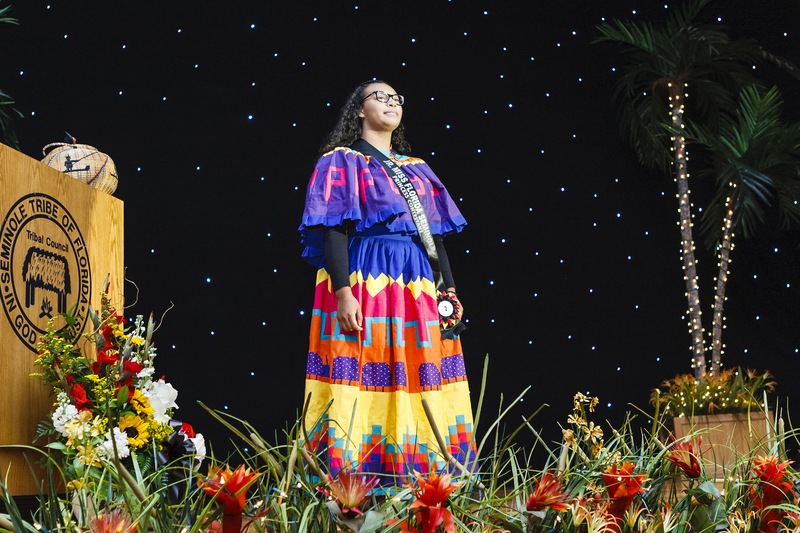 Kailani’s aunt created her dress, made of vibrant colors and unique patterns. 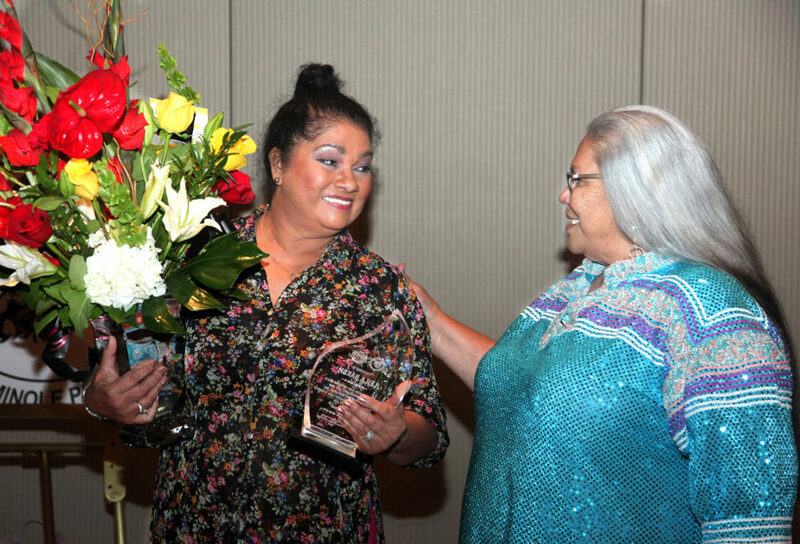 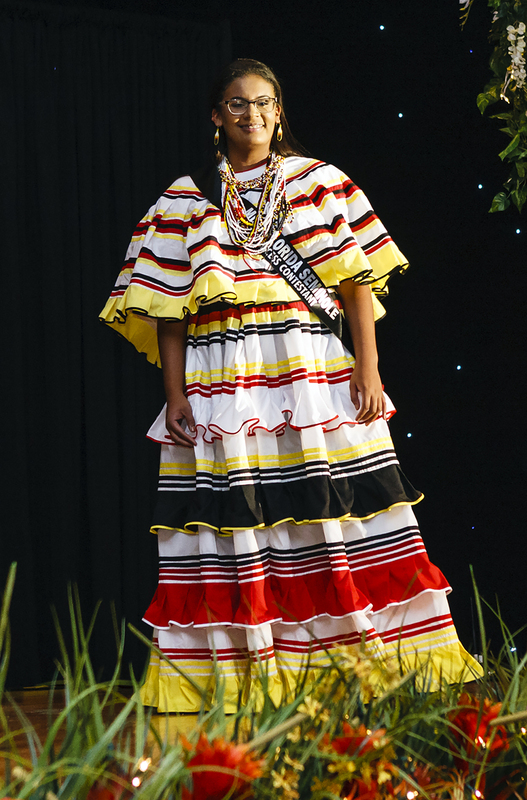 Randee represented traditional medicinal colors with her dress, wearing red, white, black and yellow. 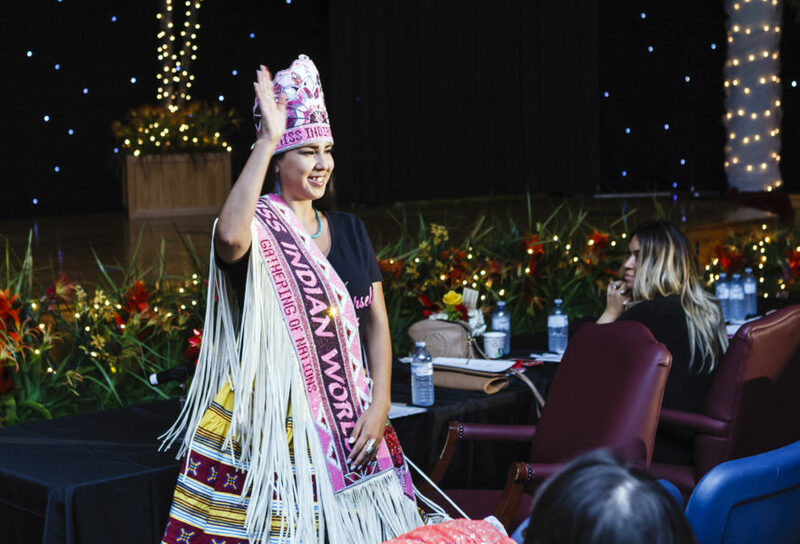 For her talent, Kailani demonstrated her sewing skills and explained how she put the garments together as her younger sister modeled a modern traditional dress Kailani made for her, comprised of three rows of patchwork and a sheer cape. 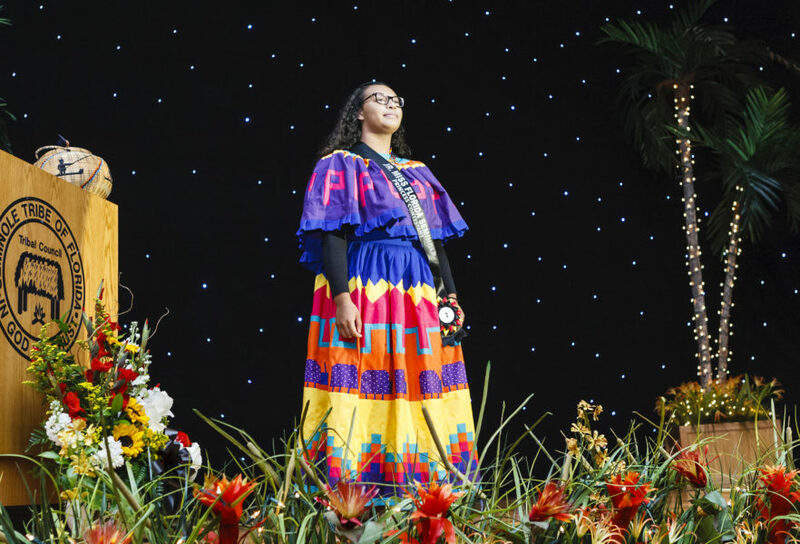 Randee sang the traditional traveling song otherwise known as the spider song, which originated during the Seminole Wars. She explained that during that time, the women would stay behind when the men went off to fight. 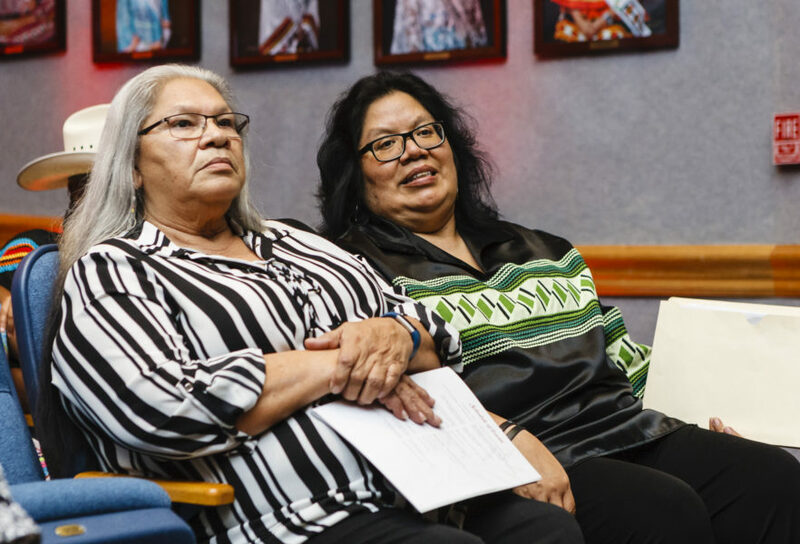 U.S. Army soldiers invaded their camps while the men were away and attacked them, so the women learned how to travel to various camps to protect themselves. 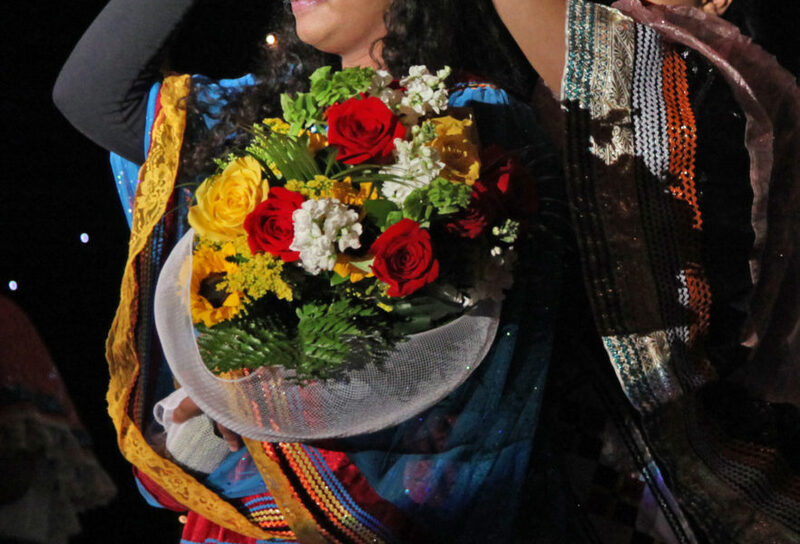 They developed this song along the way. 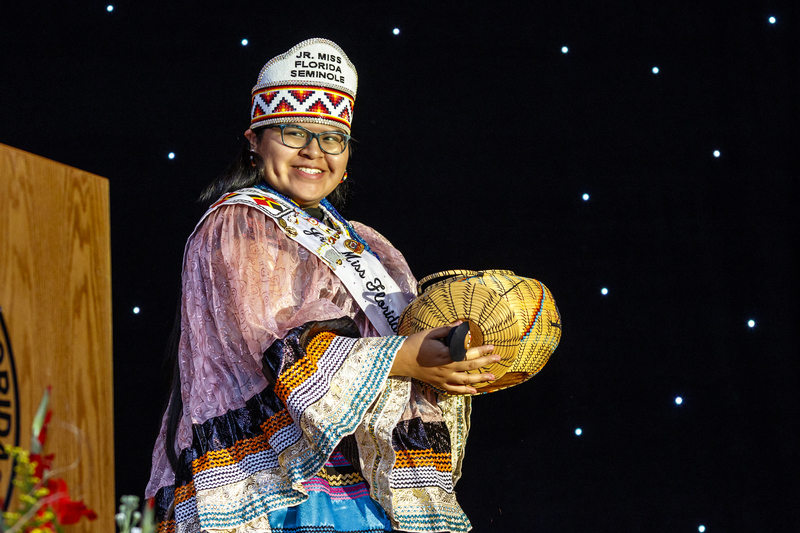 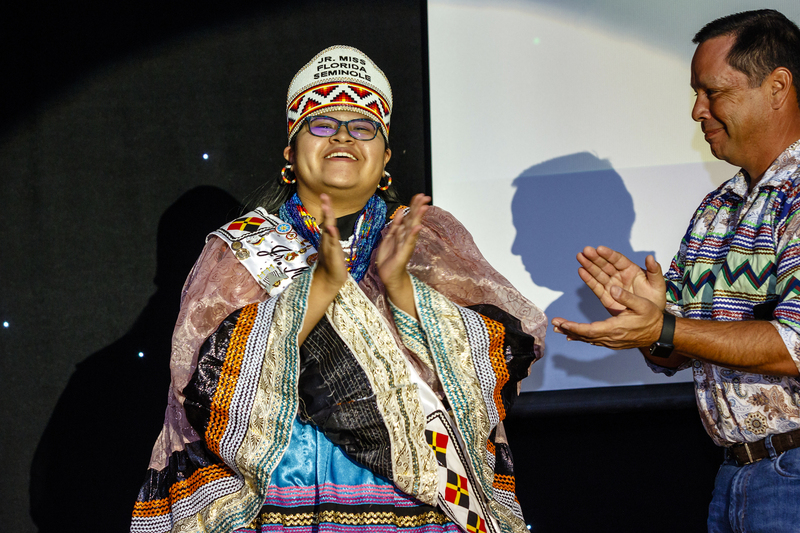 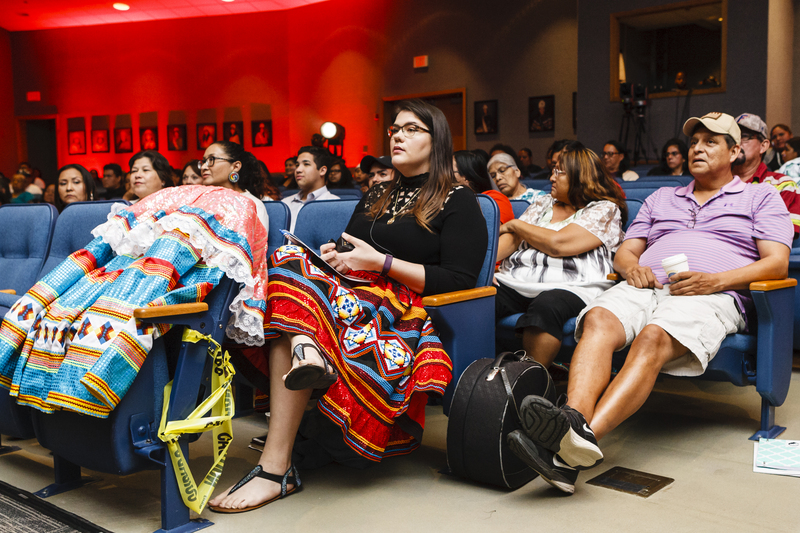 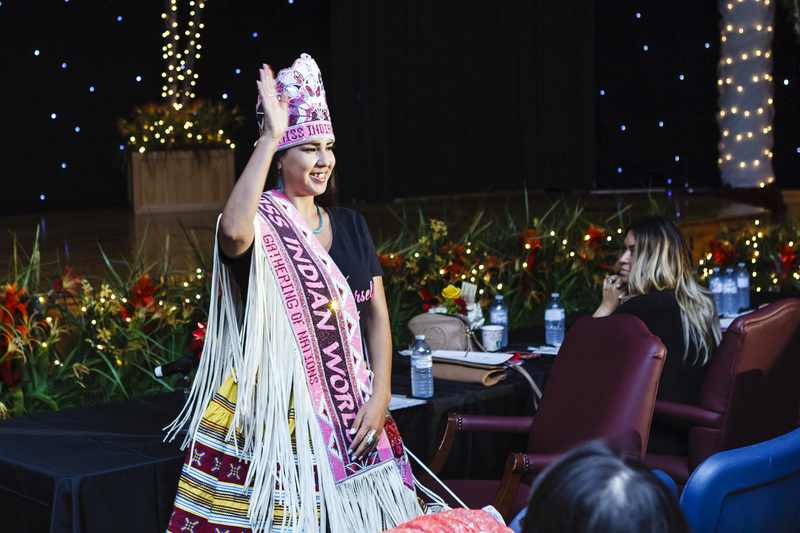 Following the talent portion of the pageant, the contestants reached into a basket and each drew a question related to the Tribe and its history, culture, politics and traditions. 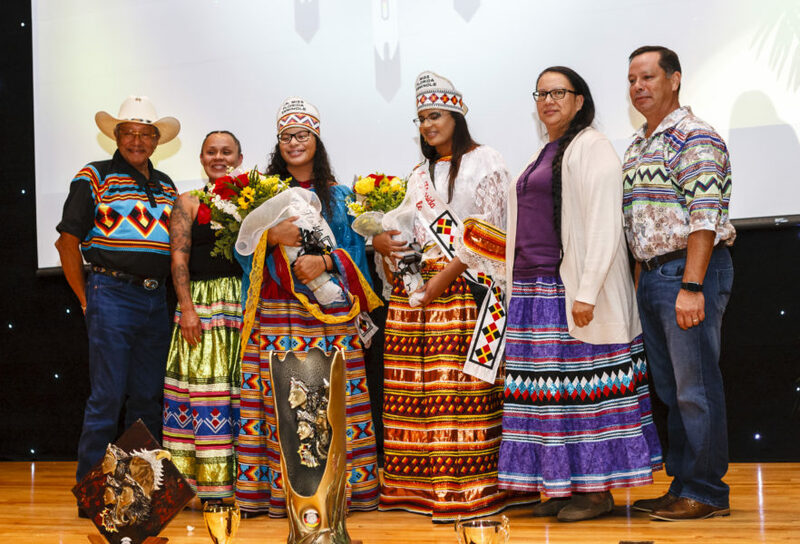 Randee explained why the Tribe is known as the unconquered Seminoles and Kailani defined what it means to be a federally-recognized tribe. 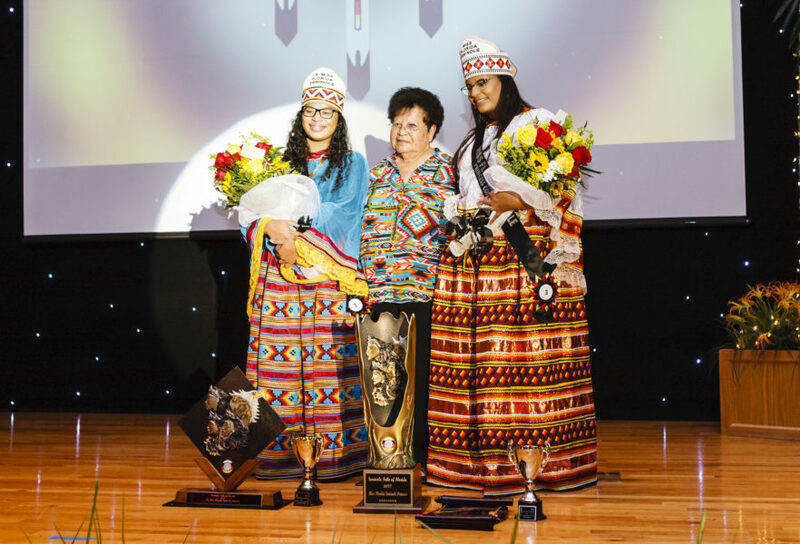 The ladies’ answers, combined with their talents, clothing and interviews from earlier in the competition, ultimately led them to success. 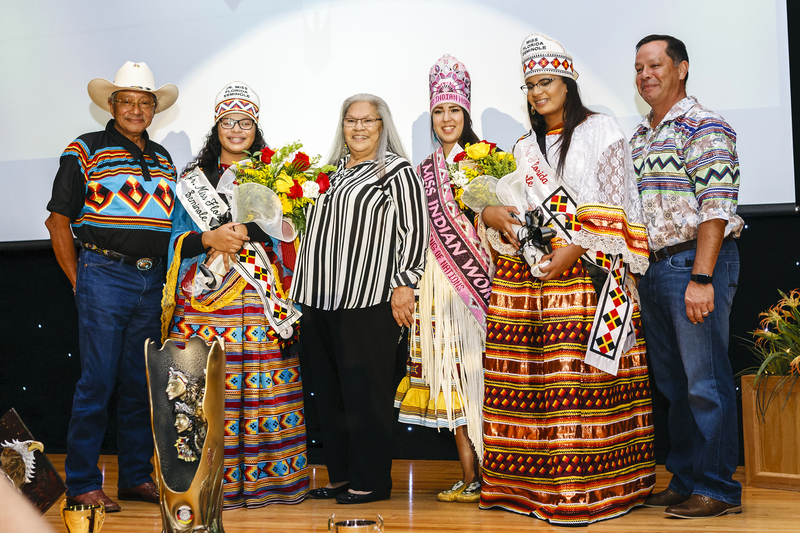 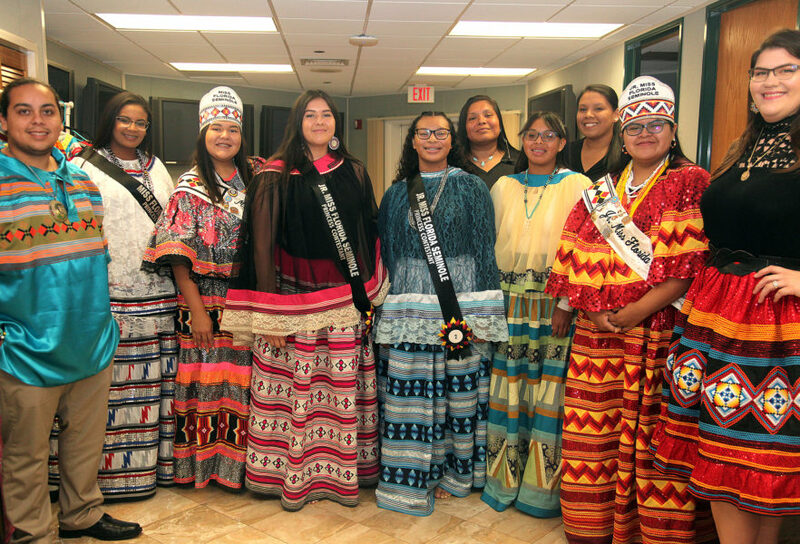 Hollywood Board Representative Gordon O. Wareham had nothing but kind words and congratulations for the former and new Seminole Princesses. 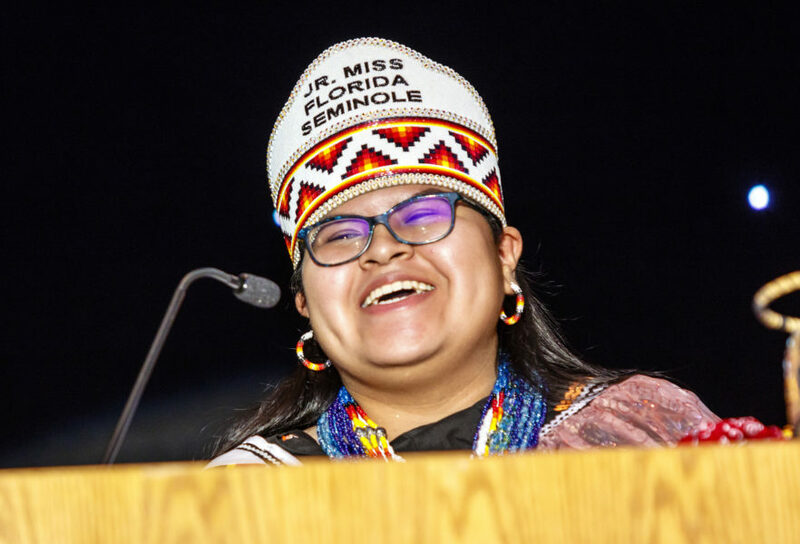 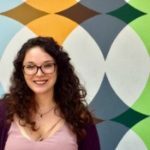 Kailani is most looking forward to visiting the various reservations, helping younger children — particularly with education — and attending the Florida State University homecoming game. 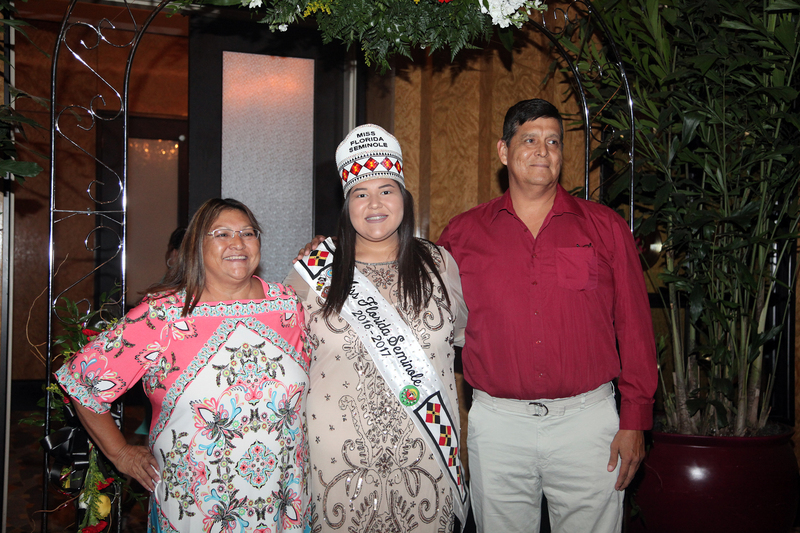 While Randee is also excited about traveling, she is most excited about competing in Miss Indian World next spring. 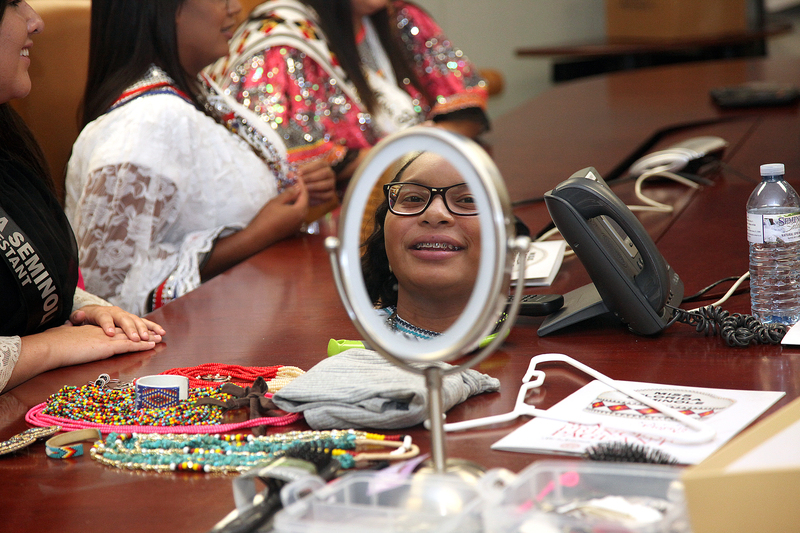 Most of all, the girls emphasized their newfound confidence. 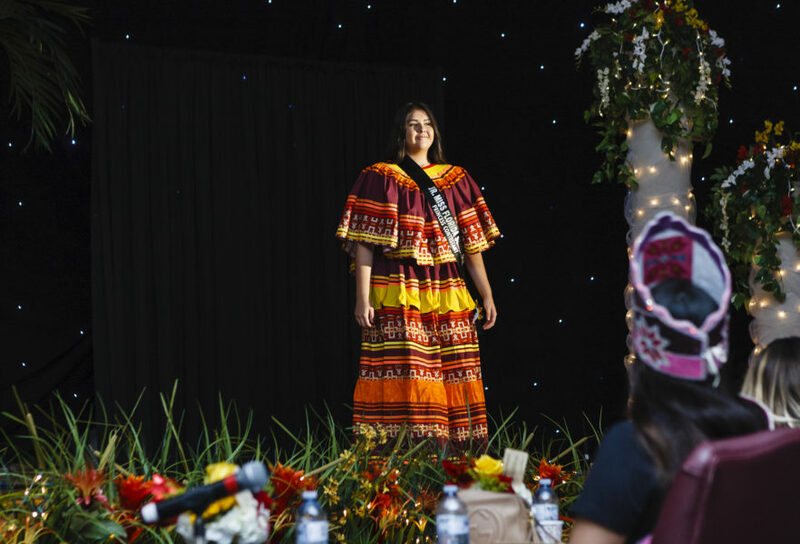 They explained that the pageant committee and pageant coaches helped them break out of their shells and the pageant experience is just the beginning. 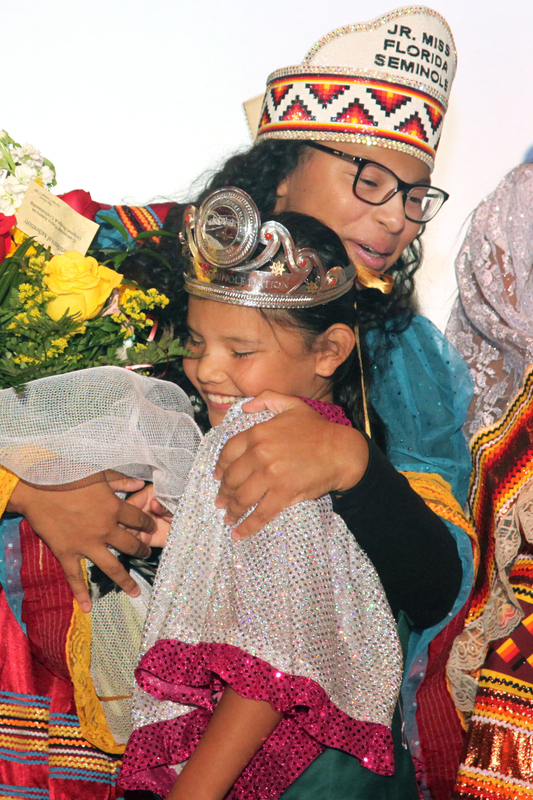 The newly crowned princesses encouraged those who did not win or those who want to compete in the future to keep trying and maintain positivity and composure. 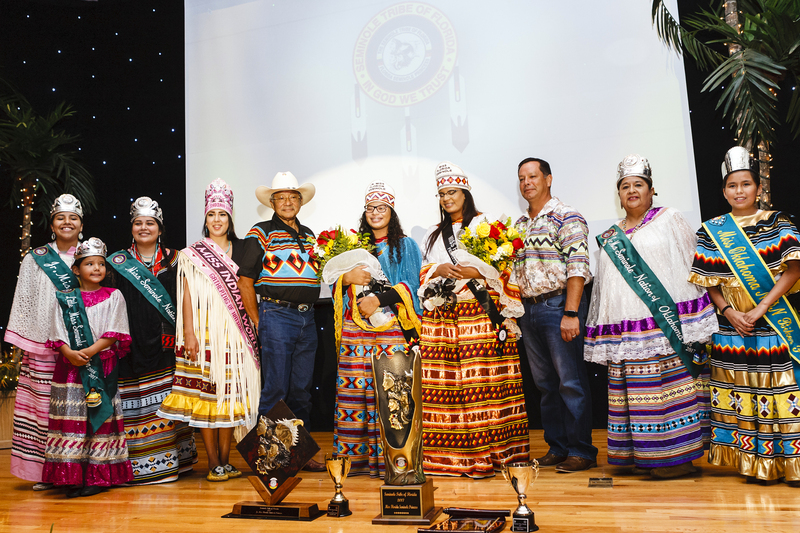 Miss and Junior Miss Seminole Princesses of the Seminole Nation of Oklahoma joined the festivities. Miss Seminole Nation Melissa Sanchez, 19, and Junior Miss Seminole Nation Shelby Factor, 17, attended the pageant community dinner and the pageant. 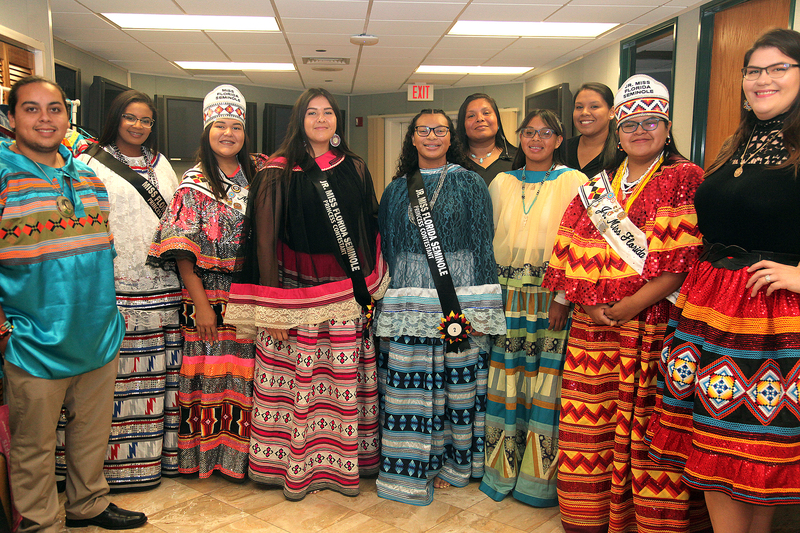 They explained that having a support system is fundamental to success. 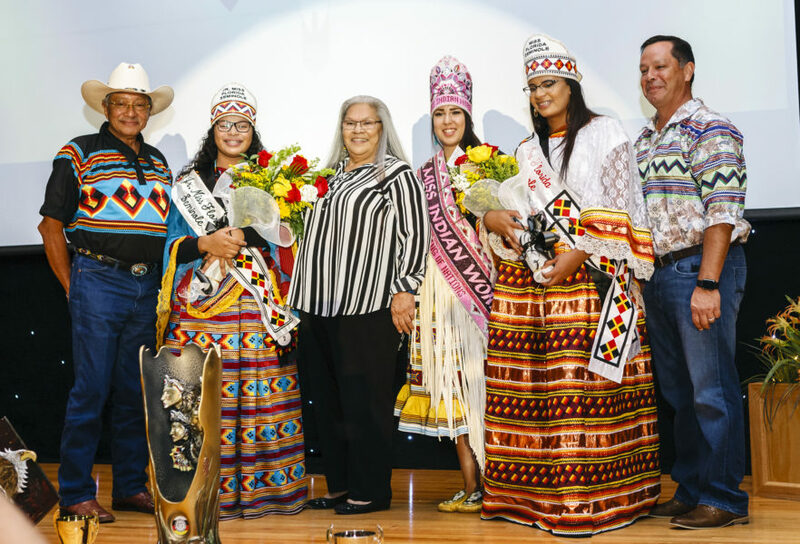 Kirsten and Thomlynn went to Oklahoma to see them crowned last fall, and now, they are doing the same to continue building relationships. 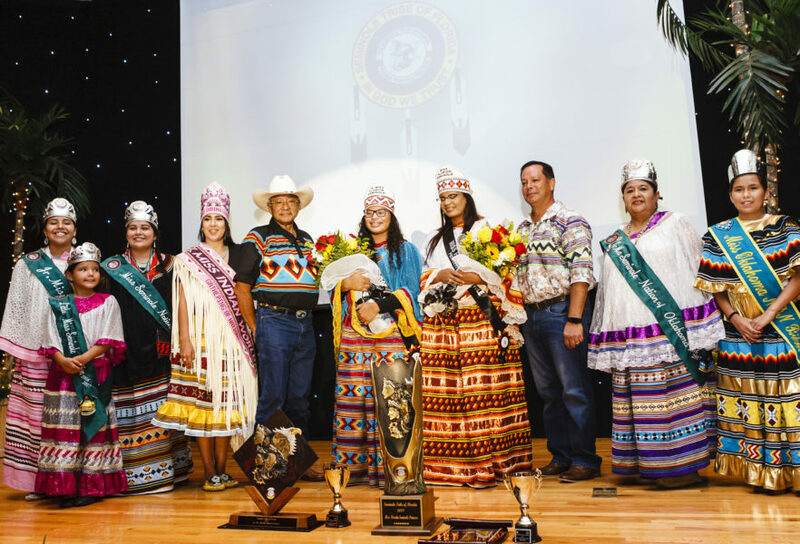 Factor said that holding the titles of Miss and Junior Miss Seminole Princesses are an honor that should be respected and appreciated. Winning these titles is just another chapter in Randee and Kailani’s books, as they both plan to pursue higher education. Randee, who just graduated from Immokalee high school, plans to attend Barry University in the fall to study psychology and criminology. 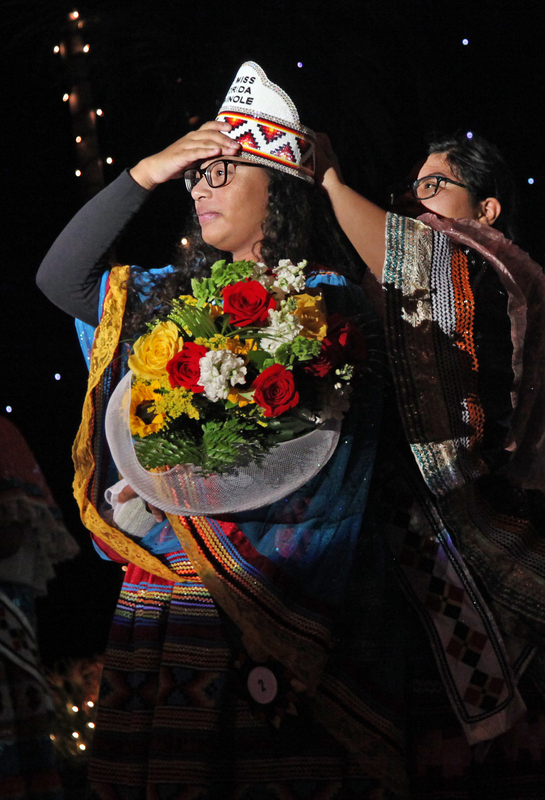 When Kailani graduates next year, she plans to leave Miami and attend the University of Hawaii to study fashion design. 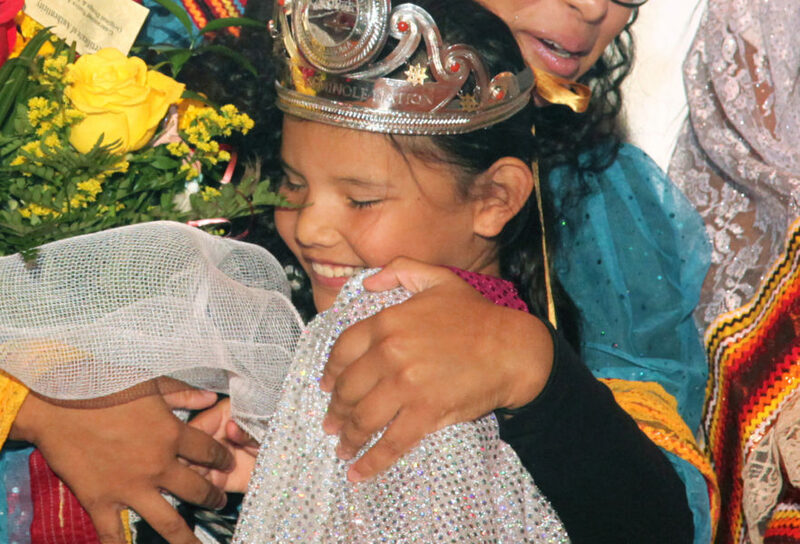 The event ended with farewells from the outgoing princesses, Kirsten and Thomlynn. 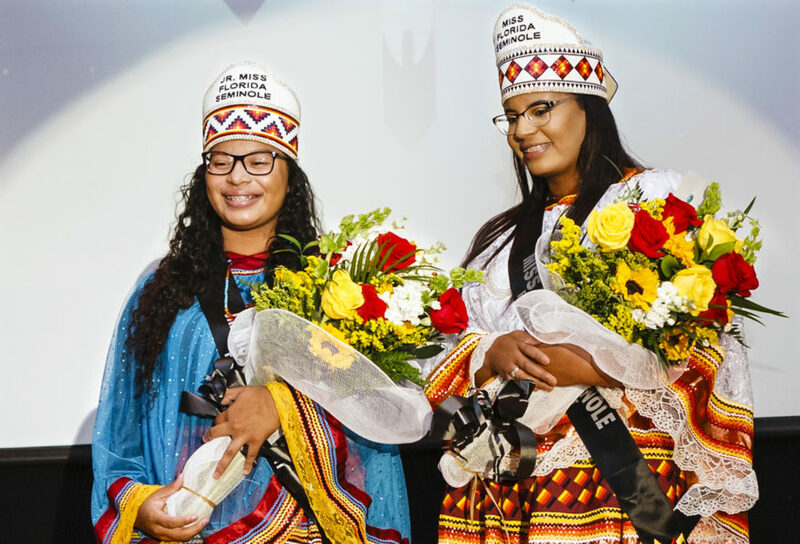 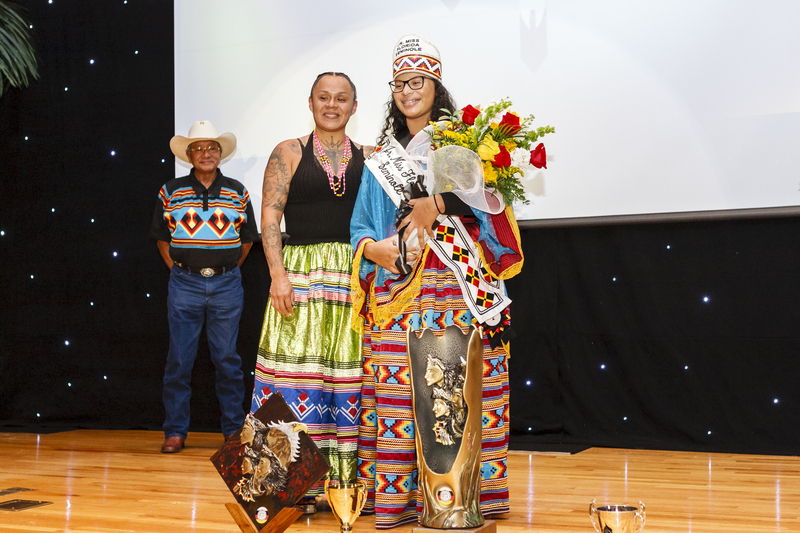 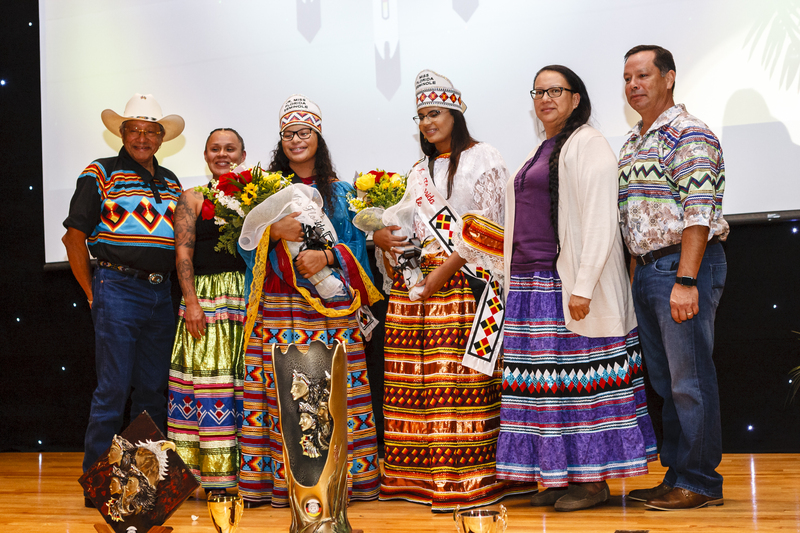 After watching recap videos for each young woman’s past year as tribal royalty, the two gave their final adieus and left inspiring and emotional words for their successors.